Just past the half-year-old mark, Four Seasons’ first safari experience continues to differentiate itself with a focus on choice and a balance between exploration and relaxation, while the brand reveals plans to open two more properties in Tanzania. 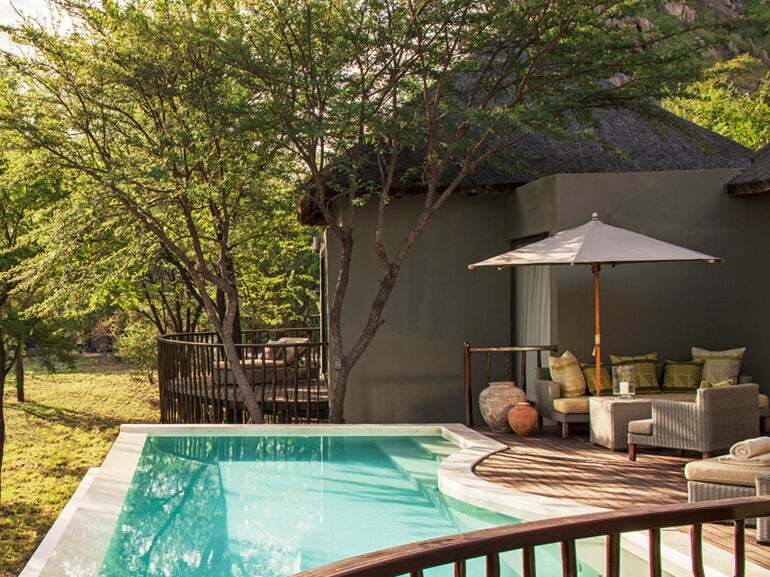 General Manager James Kostecky shares that Four Seasons clients had been asking for a safari experience for years, but that the brand couldn’t just take over a 12-room lodge and slap a Four Seasons flag on it. 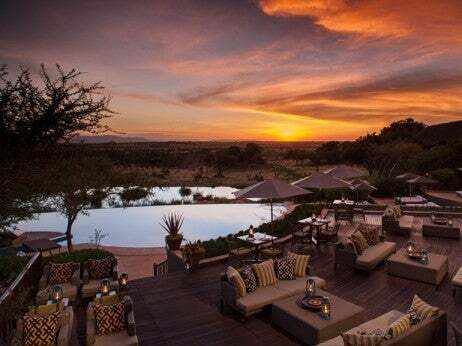 The 77-room Four Seasons Safari Lodge Serengeti is “like nothing the East Africa market has ever seen,” he continues. The key differentiators? The degree of choice, and the fact that the resort has been positioned as a truly balanced vacation destination, not just a quick two-day stop on a multileg journey through the region. Two three-hour game drives a day, one early morning and one late afternoon, are the standard safari lodge formula, but when they’re included, guests feel obligated to go on every one. “It can get exhausting if you’re staying five days,” says Kostecky. So at Four Seasons, drives are à la carte to give guests more flexibility, whether that means one, two, three, or no game drives on any given day—or an all-day drive with a picnic lunch out in the bush. 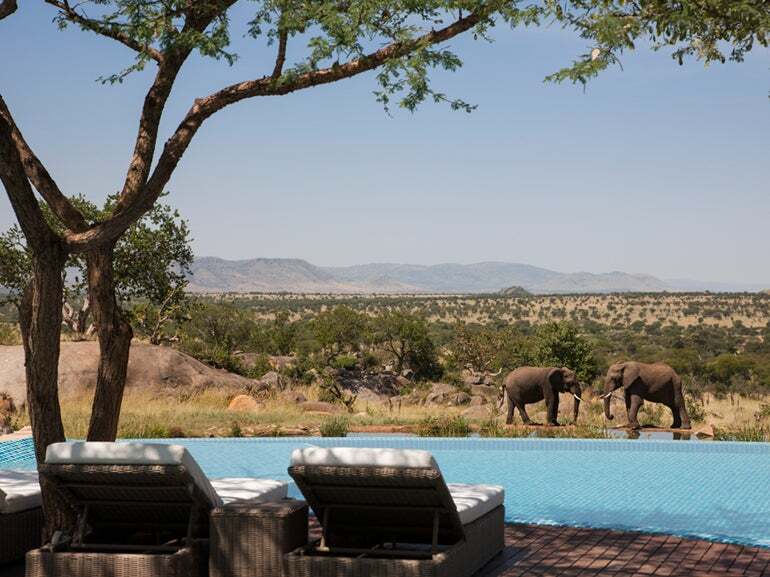 Even if guests choose to spend a whole day on pool, spa, and gym, they won’t miss out on the wildlife, as Four Seasons’ water hole is a very popular one, attracting elephants, lions, giraffes, zebras, baboons, and much more. Guests can literally sit back and watch the animal kingdom interact around them, instead of having to go and seek it out each day. Night-vision cameras hook up to guests’ TVs after dark, so they can continue to track the activity outdoors should they wish. 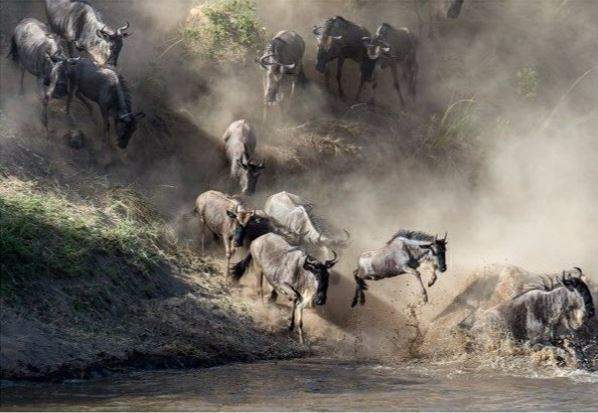 The lodge is also located right in the middle of the circular path of the Great Migration—the Serengeti’s biggest draw—so it’s within a day’s drive 10 months of the year. Choice continues into the food & beverage realm, with an all-day à la carte restaurant—very unusual on safari—as well as a more typical buffet eatery open for breakfast, lunch, and dinner. All food and beverages, minus premium spirits and wines, are included at these two venues. An intimate, 40-seat African grill restaurant in a traditional boma structure offers a special evening of delectable eats (again, no set menus) and a dance and music performance by the local Maasai. This, as well as unforgettable dining experiences in the bush, are offered at an extra charge. A comprehensive Discovery Center, complete with informative exhibits, visiting guest lecturers, and staff to dispense tips on wildlife photography, plus a Kids’ Club that goes beyond video games to offer safari-oriented arts & crafts and activities, add another layer to the Four Seasons safari experience. The feedback thus far? “Great,” reports Kostecky, guests have been “blown away.” The property is already seeing longer stays—as many as nine days in one of the villas—indicating that the “destination resort” model is beginning to take hold. Multigenerational groups have been especially attracted to and appreciative of the degree of choice on offer. Renovation-wise, the goal was to imbue the property with a truer sense of place—think African colors, artwork, sculpture, baskets, and textiles. An African-inspired spa, with Africology skincare products and treatments designed to reflect and incorporate elements of the local Maasai culture, replaced what was previously a third-party Asian spa concept. All accommodations have a terrace and Serengeti views, the smallest starting at 600 square feet with deep soaking tubs and the level of luxury you’d expect from Four Seasons. Twelve Terrace Suites have plunge pools, and the five villas have full-size pools and full kitchens. The villas are ideal for guests who just want to disappear, shares Kostecky, as they can accommodate meals and spa treatments, and they have their own separate entrances, so even the arrival and departure experience can be completely private. 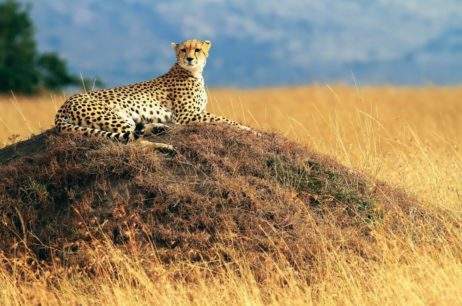 The closest jetport is just outside Arusha, and from there guests take a bush plane to the air strip, which is an hour’s drive from the reserve. While this may seem like a lot, the safari experience begins the minute the drive begins, as there are so many animals—even typically elusive lions and leopards—visible from the road. Those who love Four Seasons’ take on safari will be happy to hear that this is just the first of three planned properties in Tanzania. A 25-room tented camp and a 60-room beach resort in Zanzibar are in the works (both new builds), so in five years’ time, guests will be able to tour the country with Four Seasons.